Following the success of our previous overseas training camps and following a year without an overseas training camp, by popular demand we have decided that 2018 is the year to bring this offering back, both for athletes that currently train with thetrilife.com and those athletes that may not train with us but are looking for a friendly yet effective triathlon training camp. We are delighted with what’s on offer at Opatija Riviera, with our athletes being offered superb half board accommodation in a 4* sea front hotel. More importantly the location is ideal in terms of cycling terrain and boasts a comprehensive range of swimming and running options. This combined with the coaching expertise of thetrilife team will create a training camp which is perfect for a wide range of triathletes, from novice to experienced Ironman. There is no one-size-fits-all attitude on thetrilife.com’s training camps. Our team work hard to ensure that you run, ride and swim at the level appropriate to your fitness and experience so that you achieve the best results whilst thoroughly enjoying the experience. 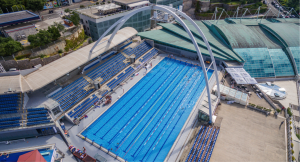 Athletes wishing to join the Croatia Training Camp that are not already coached by thetrilife.com will be given an 8 week training plan to ensure you are fully prepared in advance and can really benefit from the week of structured training. Reserve your place at the Croatia Training Camp with a £125 deposit. You can pay your deposit here via PayPal or credit / debit card. Note: Once you have reserved your place on the camp by paying a deposit we will confirm your place. In early 2018 we will confirm via email that we have sufficient interest to proceed. In the unlikely event that there is not sufficient interest you will of course get your deposit back. By plane: The cost of the training camp INCLUDES economy flights from London Heathrow to Zagreb and INCLUDES the cost of taking your bike or hiring a bike which will be delivered directly to the hotel. Superb accommodation within a 4* seafront hotel. There are single and double occupancy options available depending on your preference or if you are coming with a partner. If you are travelling on your own but would like to share please let us know. Meals are provided for on a half board basis – excellent breakfast & dinner buffets fit for kings and highly tuned athletes! The restaurant can cater for all your dietary needs so please do let us know in advance if you have any special dietary requirements or requests. This training camp makes a fabulous spring break for a non triathlete partner – non coached option is £1,035 assuming double occupancy sharing. 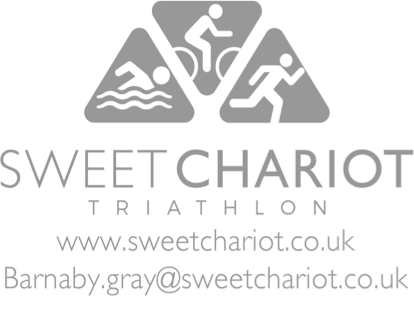 Many thanks to our friends at Sweet Chariot, www.sweetchariot.co.uk, who are arranging the logistics, accommodation, transport and car support through this camp leaving thetrilife.com coaches to do what they do best – coach!